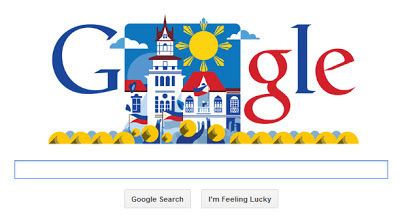 Today, June 12, 2013 marks the15th Philippine Independence Day. Our Independence from Spanish rule is proclaimed on June 12, 1898 in kawit Cavite by General Emilio Aguinaldo, the first President of the Phils. Let's us be proud of being a Filipino. Look, Google even made this on their homepage.